It has been busy here on Maplewood Hill. You would think that winter would be a slow time but there are still animals to feed and other chores to do on a farm. Some years, we try to get a mini-vacation in at Thanksgiving or Christmas but this year we decided to stay home and enjoy the house and farm. I really wanted to do some much needed organizing as I have had a strong urge to declutter and what a great feeling to start the New Year somewhat organized. Boone has always said if there were just a table with a few chairs, a couch and mostly windows in the house I would be at my happiest. And he is right! Having a lot of “stuff” makes me antsy for some reason. My mostly bare walls seem odd to some folks but I like them. 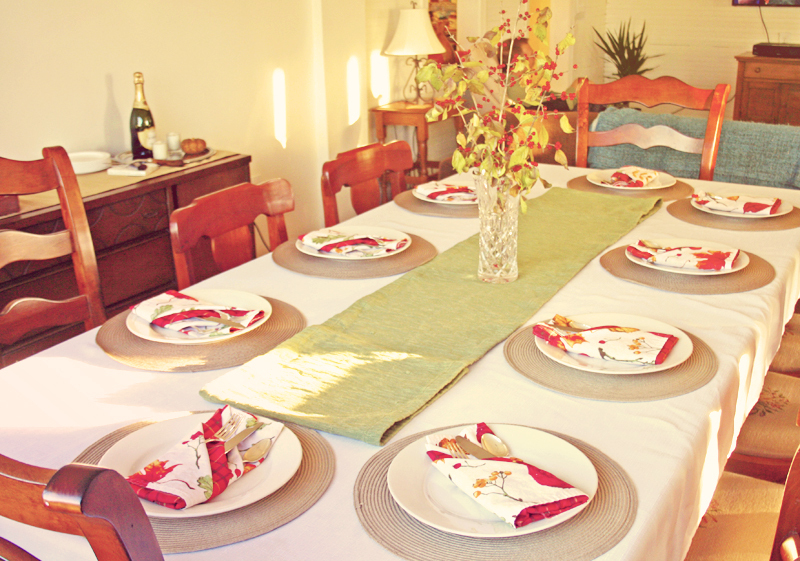 We celebrated Thanksgiving here on the farm with family and friends. I kept the table simple, more space for the food! The menu was traditional and wonderful. My son helped in the kitchen and our guests contributed too. I have linked to some of the recipes and will get some of the others posted soon!